Here in Vietnam this morning, Moreno and I conducted a touching and beautiful interview and received the best information we’ve yet heard about M and her sister. 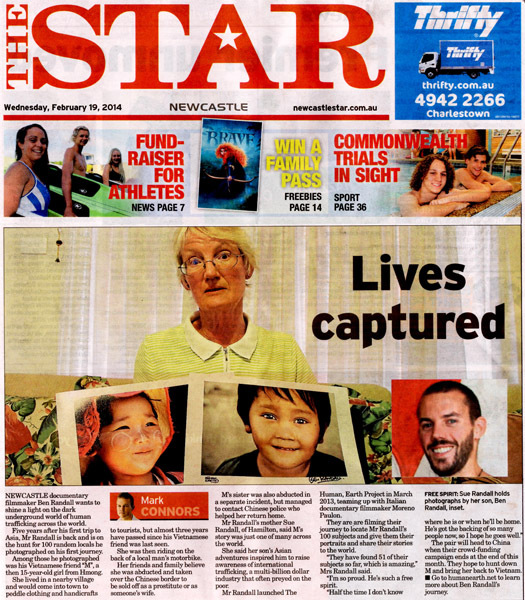 Today in Australia, The Human, Earth Project was featured on ABC radio, and the front page of my local newspaper. Our crowdfunding campaign now has over 100 contributors from five continents, with a week remaining on the clock. If you haven’t yet contributed to our campaign and want to join us in the fight against human trafficking, every dollar makes a difference.